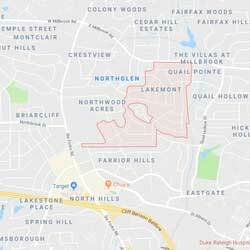 Lakemont is located in Raleigh, NC within 5 miles of I440 and I540. The homes were built between 1955 and 1970 but many homes have been updated in recent years. The charming homes along tree lined streets make this one of the best locations in Raleigh. The community has swim and tennis amenities and is within close proximity to some of the area’s best golf courses. The Lakemont Swim and Tennis Club offers a 25-yard pool, covered pavilion with grills, a shaded toddler area, kiddie pool and snack bar.